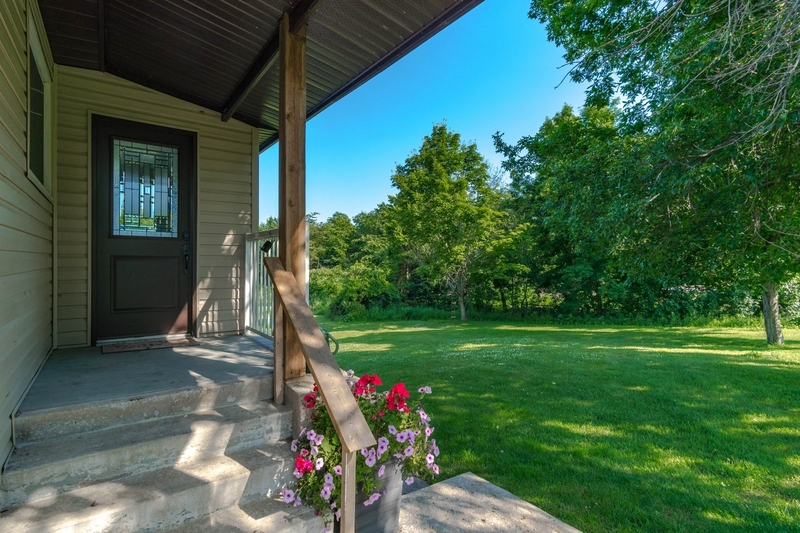 come and escape to the peace and quiet of the country with just over 2 acres, this picturesque lot has something for everyone. pride of ownership exudes throughout the home with complimentary updates that have been completed over the past 6 years. main floor offers mud room entry, open concept kitchen/dining/living combo, with an exquisitely updated/remodeled kitchen complete with desk nook and ceramic flooring throughout. great room and dining offer newer laminate flooring, vaulted ceilings with beautiful wood beam work, expansive windows to enjoy your private wooded or seasonal water view and walk out to a massive wrap around composite deck. main floor also offers large master, and full bath. lower level offers newer laminate flooring throughout. new bathroom with shared laundry, cozy family room with wood stove, den, additional bedroom and walk out to full patio. this home is sure to impress along with ample storage, massive 40 x 60 workshop with 100 amp service and welding outlets.